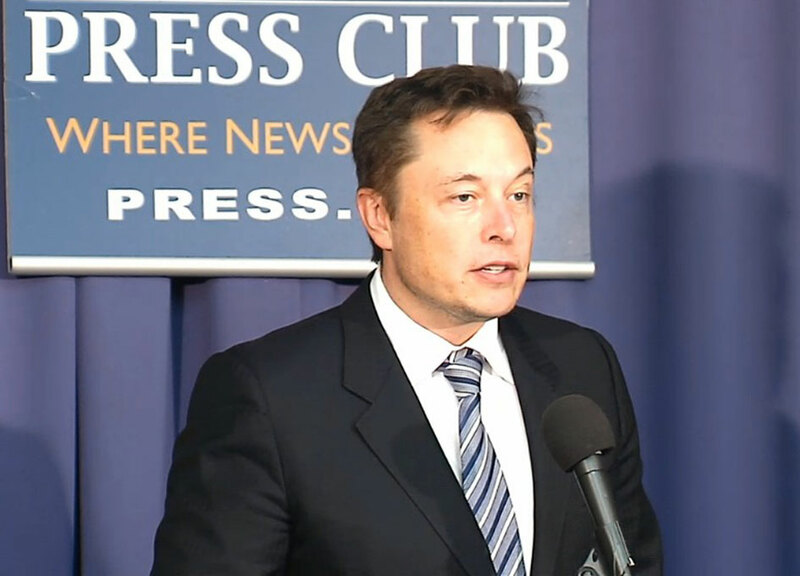 Elon Musk of SpaceX at the National Press Club. The ruling by Judge Susan Braden was based on letters received by the United States Department of the Treasury, the United States Department of Commerce, and the United States Department of State which stated that "to the best of [the relevant Department's] knowledge, purchases from and payments to NPO Energomash currently do not directly or indirectly contravene Executive Order 13,661." Judge Braden also stated in the Courts ruling that "If the Government receives any indication, however, that purchases from or payment of money to NPO Energomash by ULS, ULA, or the United States Air Force will directly or indirectly contravene Executive Order 13,661, the Government will inform the court immediately." Commenting to SpaceRef on the ruling a SpaceX spokesperson said: "The U.S. Court of Federal Claims has taken steps toward understanding whether United Launch Alliance's current sole-source contract violates U.S. sanctions by sending taxpayer money to Russia for the RD-180 engine. That question, combined with the others specifically raised in the SpaceX Complaint, relating to the risks posed by dependence on Russian-made engines and the need to open competition for the Air Force space launch program - are timely and appropriate." With the preliminary injunction lifted SpaceX currently now finds itself back at square one. Yesterday the U.S. Court of Federal Claims lifted the preliminary injunction (PDF) which had barred the Air Force and United Launch Services, a subsidiary of United Launch Alliance, from making any purchases \"from or payment of money to NPO Energomash or any entity whether governmental, corporate or individual, that is subject to the control of Deputy Prime Minister Rogozin.\"